It is now the beginning of December and we’re already on full Christmas mode here at my house. 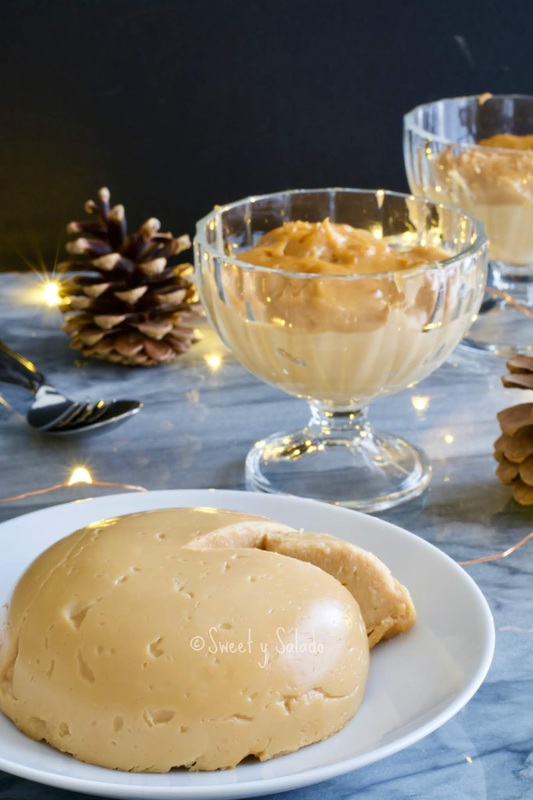 The tree has been up and decorated for a few days and I have made a few Christmas recipes to get us all in the mood, starting with this arequipe or dulce de leche Colombian natilla (custard). If you follow my blog then you probably know by now that I a few years ago I posted our traditional Colombian natilla recipe. It is a fail proof and easy to make recipe that has been liked by so many people. So, I think it’s time we start making it with a few other flavors to give it a bit of a twist. Adding different flavors to a natilla is not a brand new idea, in fact, people have been doing it for years but it was not the norm when I was growing up in Colombia because back then it was usually made with just panela (unrefined cane sugar), milk and cinnamon. 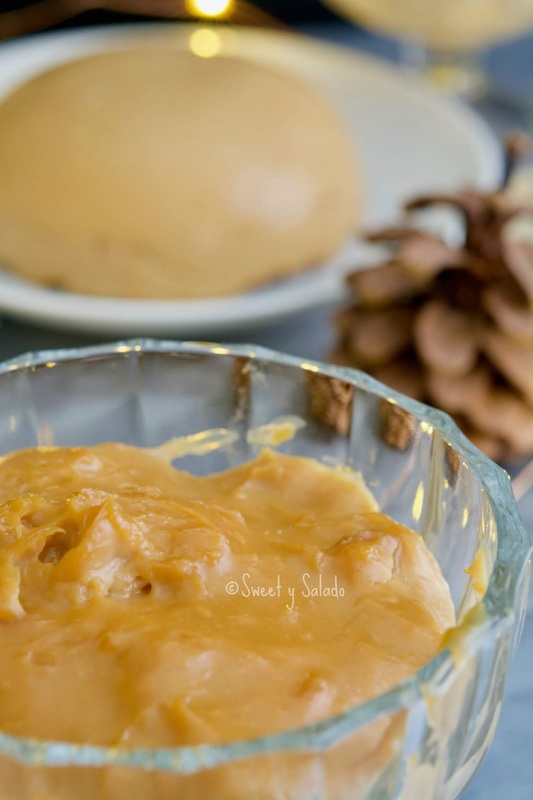 Today one of the most popular flavors is the recipe that I’m sharing on this post, which is arequipe or dulce de leche natilla. 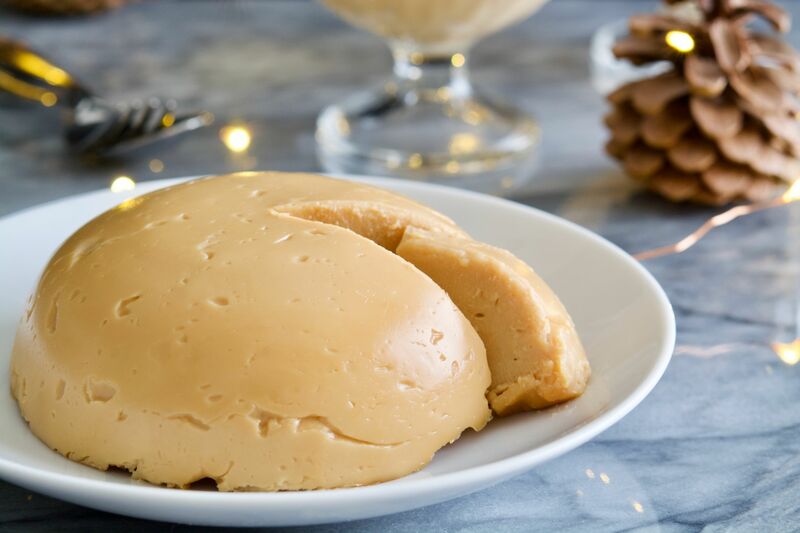 You can easily find arequipe at many grocery stores here in the US but if for some reason you can’t then I have two wonderful recipes that you can make at home. 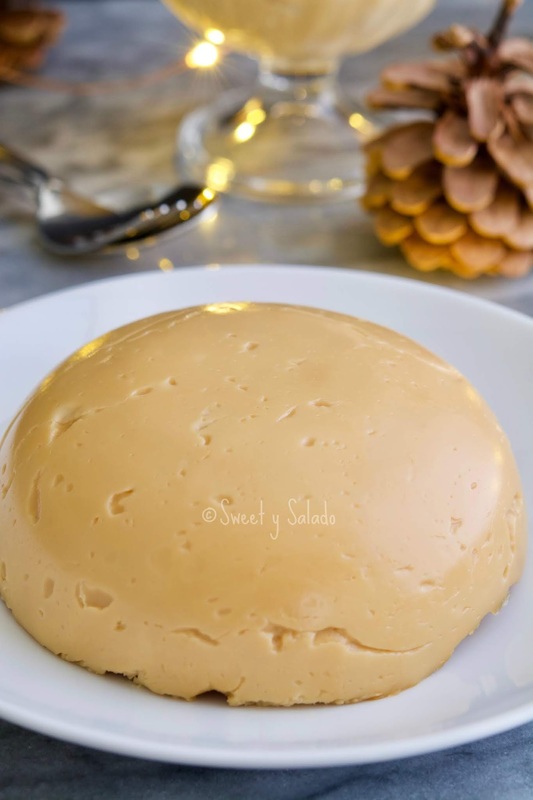 Click here to see the version where it is made from scratch by just using white sugar and milk, and click here to see the version that is made with a can of sweetened condensed milk. Either recipe is super easy to make and will work great for making this natilla. Mix the cornstarch with one cup (240 ml or 8 oz) of milk in a large bowl until it is completely dissolved. Add the arequipe or dulce de leche and keep stirring until most of it dissolves. You can also blend it in a blender. Set mixture aside. In a large pot heat the remaining amount of milk (3½ cups or 840ml) with the white sugar over medium heat until it starts to boil. Once it is boiling remove it from the heat and let it rest for about 5 minutes. Then, put it back on the burner over medium low heat, add the arequipe mixture and start stirring constantly with a wooden spoon or spatula until it thickens and you can see the bottom of the pot. This can take anywhere from 10-15 minutes. Pour immediately into a heat proof dish or dishes if serving individual portions and let it cool completely before serving. Hola me llamo Myriam, hay trate de hacer tus merengues, pero por alguna razón estos se están amarillando en la parte superior. Baje el horno de 250 a 215, pero continuar amarillandose. Hola Myriam, si seguiste las instrucciones al pie de la letra te sugiero medir la temperatura de tu horno con un termómetro a prueba de calor para ver si está bien calibrado. A veces los hornos se calientan más de lo que deben estar.